The house lights have dimmed, and the music softly faded, on one of the Lord’s humble servants. 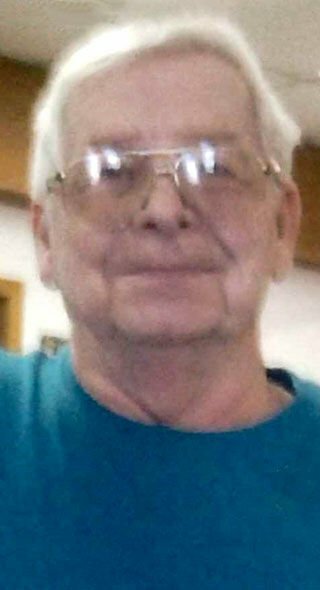 Michael Hugh Kelly passed away on Friday, March 22, 2019. He has gone on to meet his heavenly father and those who are waiting for him. Mike was born September 14, 1945. He graduated from Neenah High School in 1962, after which he enlisted into the United States Army and served in both Germany and Vietnam. He was honorably discharged in 1968. Specialist Four E4, Michael Kelly was awarded a Purple Heart for wounds received in action. Wounds that had not only scarred him physically but mentally and emotionally as well for the rest of life. After the service he returned home and studied technology at the University of Madison. After a few courses he decided it wasn’t for him and started off for the District of Columbia. Along the way he got side tracked and remained in Eau Claire for the rest of his life. The Original “Mr. Fix-it,” he made a living brick by brick fixing chimneys, working with scaffolding and any other job he could help with. A heart attack grounded him. In 1994 he received an Associates Degree in Applied Science, Marketing Materials Management from Chippewa Valley Technical College. He worked for a time with B&B Electric. His experience gained him the ability to help many musicians with their electrical needs. He purchased the Eau Claire Blue Star Bottling Company building in the mid 80’s and converted it to a home/studio/shop. There he lived through two unsuccessful marriages until he met his “angel”, Gloria. He proposed to her during a trip to China while negotiating his most recent endeavor, designing his E-Bikes. Well, as they say, the third time was a charm. They traveled and made their way through life’s ups and downs until he was no longer able. Mike will always be remembered for his generous nature. He was always willing to help however he could. He was an analytical man, very eager to share his vast array of knowledge freely to anyone young and old alike. Always very precise in his in his explanation. He was a fan of the “K.I.S.S.” Theory — Keep it simple stupid. Whether it was sharing knowledge or support, if he had it and you needed it, all you had to do is ask. Music was a big part of his life. He loved to accompany the band with his Juice Harp or Bass. He also wrote lyrics and loved to sing with the band or in church. Though his time in this mortal band may have come to an end, the melody and harmony of his presence will linger and resonate long after his final Gig. Mike is survived by his wife Gloria; grandson, Adam (Ashley) Kohls and children; sister-in-law, Diane Kelly of Kaukauna, WI; brothers-in-law, Roy Olson of Menasha, WI, John (Deloris) Madsen of Wisconsin Rapids, WI, Bruce (Shirley) Madsen of Menomonie, WI, and Victor (Brenda) Kuehl; sister-in-law, Joann (Pete) Kurth of Nekoosa, WI; children, grandchildren and great grandchildren; cousins and nephews. He was preceded in death by his father, James Kelly Sr.; mother, Ruth Prehn; brother, James Kelly Jr.; step mother, Mary L (Axotis) Kelly; and sister, Alexis A. Olson. Memorial Services will be held at 11 a.m. Saturday, April 13, 2019, at Altoona United Methodist Church, 428 1st Street West, Altoona, WI. Visitation will be held two hours prior to the service at church Saturday. Burial will be held later in the Northern Wisconsin Veterans Memorial Cemetery in Spooner. Chippewa Valley Cremation Services – Celebration of Life Center in Altoona is serving the family. To express condolences online please visit www.chippewavalleycremation.com.